Flash game. There are no winners. Mash ups. Remember them? It was the mid 2000s and it was all kicking off. You want to hear a Kate Bush song but with Busta Rhymes shouting indecipherably over the top of the music, almost simultaneously devaluing both works? Consider it done. Placebo but Julie Andrews instead of Brian Molko on vocals? Whoa, it actually sounds better than the original! Cannibal Corpse v Emma Bunton? OBVIOUSLY. 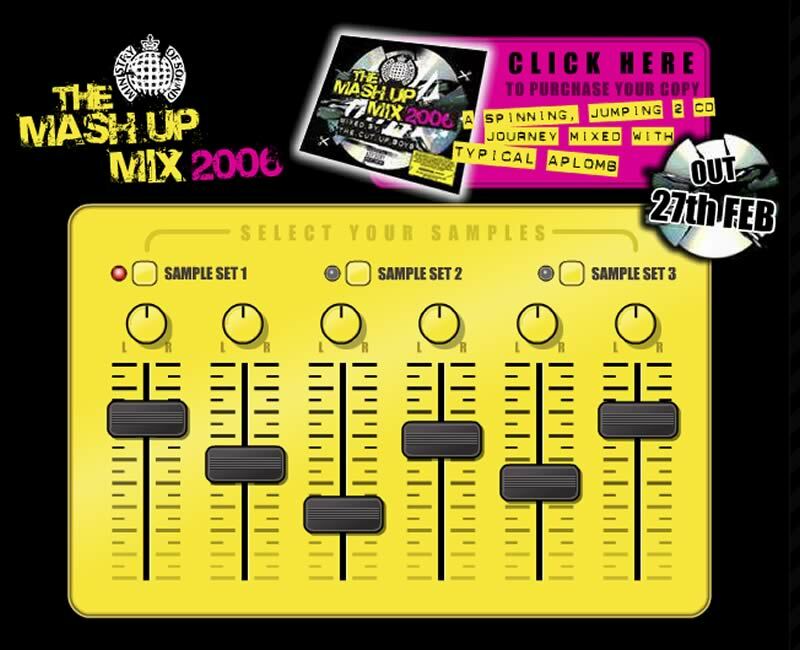 So this is a mixer, featuring the isolated music tracks from three of the songs off the compilation. Or would it be six songs? Oh, I don’t know. I’m glad it’s over.